In early 1967, producers at Samuel Goldwyn Studios (also known as United Artists Studio) hatched an idea: "Let's put the stars of Hogan's Heroes in a film together. It'll do great at the box office." It seemed feasible. After the terrific success of Hogan's Heroes, due in part to the talented actors and the natural chemistry that existed between them, a movie with the leading Hogan's Heroes cast and with Bob Crane in the starring role would be a draw for audiences. a scene from The Wicked Dreams of Paula Schultz. The script they had chosen was one that would undoubtedly fit the Hogan's Heroes actors' television personas well. 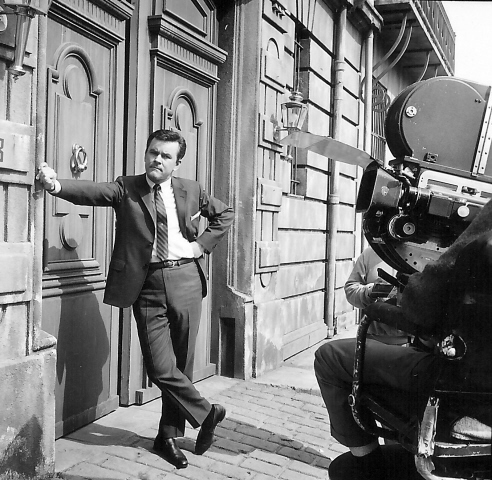 Set in what was then present-day Europe and during one of the most heated eras of the Cold War, Bob Crane's character (Bill Mason, an American Black Market scam artist smuggling goods in and out of East Germany) would once again be pitted against the Germans - only this time, Communist East Germans instead of Nazis. Into their usual bumbling German slots landed Werner Klemperer (who is credited simply as Klaus), John Banner (as Weber), and Leon Askin (as Oscar). Elke Sommer, the beautiful German actress, was cast opposite Bob Crane in the female lead as Paula Schultz. An East German Olympian athlete, Paula Schultz wishes to defect to the West. She enlists the help of Bill Mason, and the pair spend the movie dodging deception, falling in love, and on the run as they try to make their way over the Berlin Wall into West Berlin. Paula eventually makes the leap, literally, with her unparalleled pole vaulting capabilities. Rounding out the cast were Joey Forman and Maureen Arthur as Herbert and Barbara Sweeney, a married couple who act as the voice of reason to Herbert's friend Bill Mason, who Barbara neither likes nor trusts. 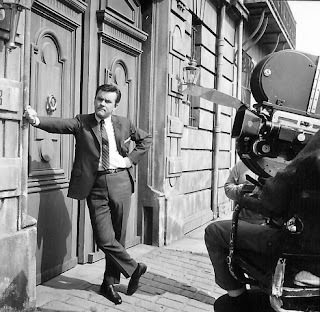 In a January 13, 1968, article published shortly after the film's release, Werner Klemperer said, "If there are anti-heroes, there have to be anti-villains. According to my last two roles, who's a sweeter villain than I?...It's such a zany farce that our director, George Marshall, allowed me to play the role of an East German bureaucrat as broad as I liked. The character fancies himself to be a great lover - a veritable devil with the women. They gave me all the props - a silken dressing gown, long cigarette holder, and even a mirrored ceiling in my bachelor quarters. I go on the make for Elke Sommer and don't even consider it a rebuff when she pole vaults over the Berlin Wall to avoid me." The Wicked Dreams of Paula Schultz. 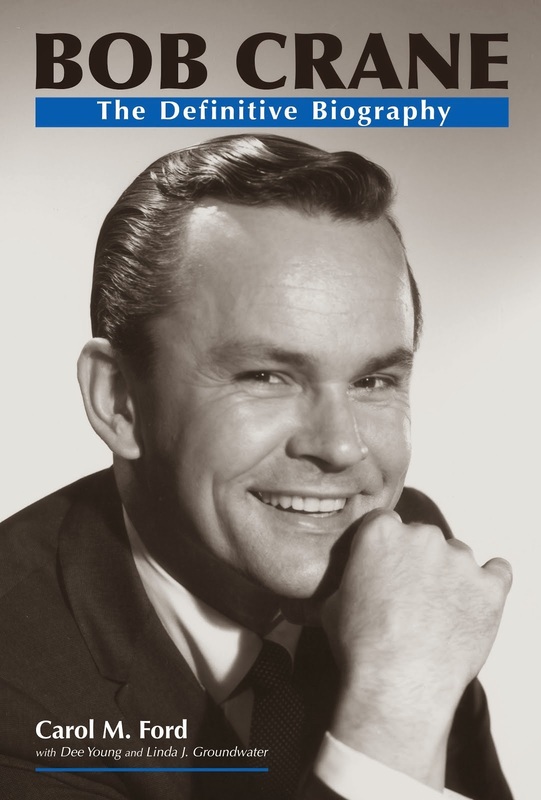 At the time he received the offer to star in the film, Bob Crane had been itching for the chance to make a different kind of jump - from the small television screen to the big theater screen. He wanted to follow in the footsteps of one of his screen idols, Jack Lemmon, and he was taking his acting very seriously. He had already completed a course presented by Stella Adler (read the article by Bob's son, Scott Crane) and turned down a mecca of offers, including the job that had gone to Johnny Carson as host of The Tonight Show. Bob wanted to learn the components of acting, and he also wanted success. The Wicked Dreams of Paula Schultz provided a rich and unique opportunity to star in a feature film and work along side fellow actors who he liked and respected in the field. However, the film, which was released in the United States on January 3, 1968, was not the goldmine its producers and cast had hoped it would be. Instead, it was the first taste of typecasting the stars of Hogan's Heroes experienced, an unfortunate phenomenon that would plague Bob Crane for the rest of his life. Movie goers lined up to see Hogan, Klink, and Schultz, not this Bill Mason fellow, and his East German pursuers Klaus and Weber. Later on, some of the Hogan's Heroes cast who appeared in The Wicked Dreams of Paula Schultz would groan and grumble when anyone mentioned the film. Werner Klemperer flatly implored people, "Don't see it." 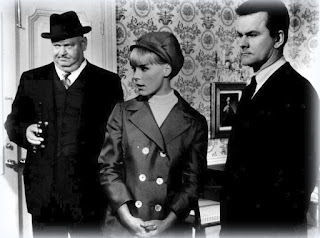 Yet, Bob Crane was optimistic, and while later on in his career he turned down film offers of a similar nature to avoid becoming a "Cold War comedian" (as he put it), Bob viewed his part in The Wicked Dreams of Paula Schultz as a credible acting opportunity and another chance to learn. In a February 1, 1968, article, Bob stated, "Being quite honest, I don't think it [The Wicked Dreams of Paula Schultz] will defeat TV snobbery. It will help as far as credit goes. I got my feet wet in the movie business, and I'm itching for more." "The Love Theme from The Wicked Dreams of Paula Schultz"
with Bob Crane on drums. Today, regardless of the film's silly premise, The Wicked Dreams of Paula Schultz has become a cult classic. Seeing our beloved Hogan's Heroes stars acting together in a different universe outside of World War II Germany and Stalag 13 is a rare treat, even if film critics and audiences in 1968 believed otherwise. It is not for sale on DVD through any distributor, but like any hidden treasure, copies can be found if one looks hard enough. By all means, find it and (don't listen to Werner Klemperer!) - watch it! Alpert, D. (1968, February 1). Movie snobs hurt television actors. Associated Press. (1968, January 13). Klemperer sees himself as a sweet kind of villain.